It's a new month already and I am really excited for September for so many reasons and I hope everyone has a wonderful month ahead. 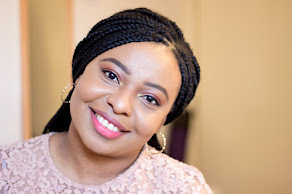 If you are a regular reader of my blog, you'd remember sometime ago I was doing a series on Makeup for Beginners and everyone else and I split the series into Face, Eyes and Lips. 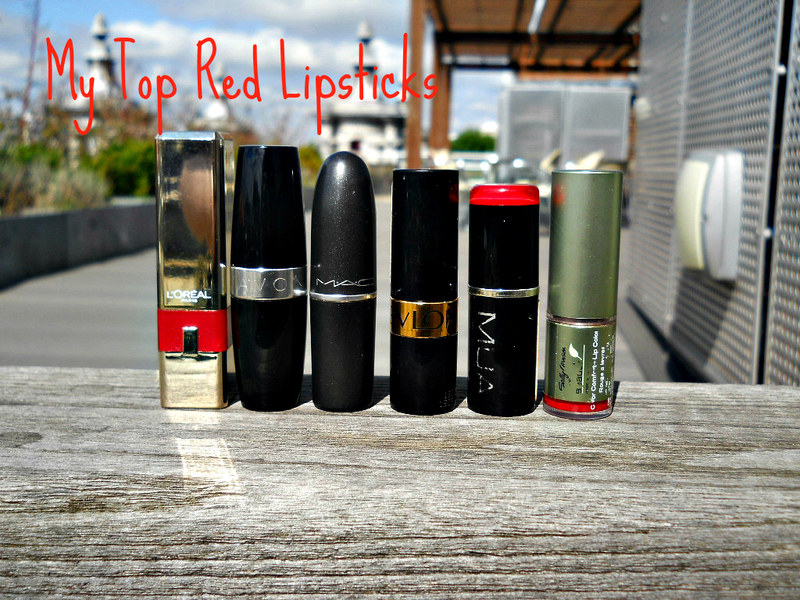 I never write a post on Lips because I thought it would be easier to write one on Red Lipsticks which is why this post is up here. 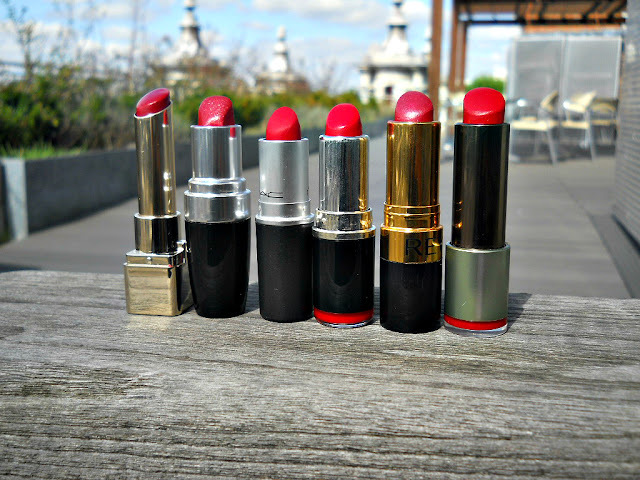 If you still want a mini post on BeautyStore Lipsticks, leave me a comment and your wish would be my command. 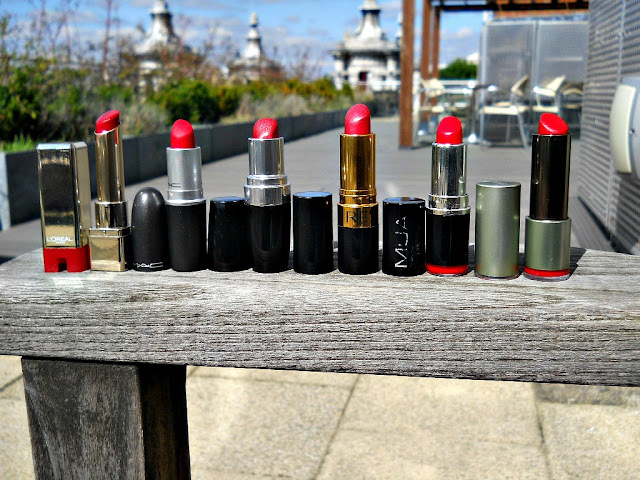 Red Lipstick is one of the trickiest lipsticks to wear for many ladies especially darker skinned ladies because it can look so wrong if you don't choose shades of red that flatter your skin tone. To be honest, I don't have any set tips for finding your right shade; I found mine through trial and error but I would share with you some of the shades that look flattering on me and may be flattering to you as well. 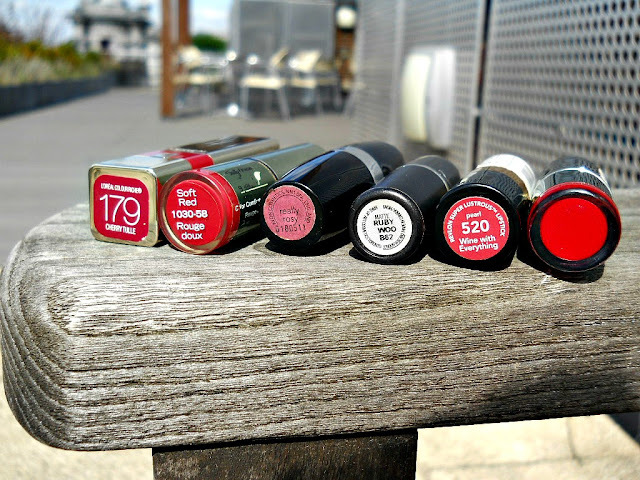 Having said that, you may notice that not all of them are bright red in the pictures to follow which is because bright red lipsticks don't really fit me so I tend to go for the darker spectrum of reds and the reds mixed with a tinge of pink...Let's get started. This was my first real dabble at the red lip and I absolutely loved it. It's a light almost not there red lipstick with some gold speckles embedded within it. I think this colour would go well with many skin tones and the formula is just about right although I would not say it is a moisturising formula. I love the sleek packaging and the lipstick is shaped on a slanted shape which makes it easy to apply but I think may be a problem when it is about to finish. But I love this red lipstick a lot. 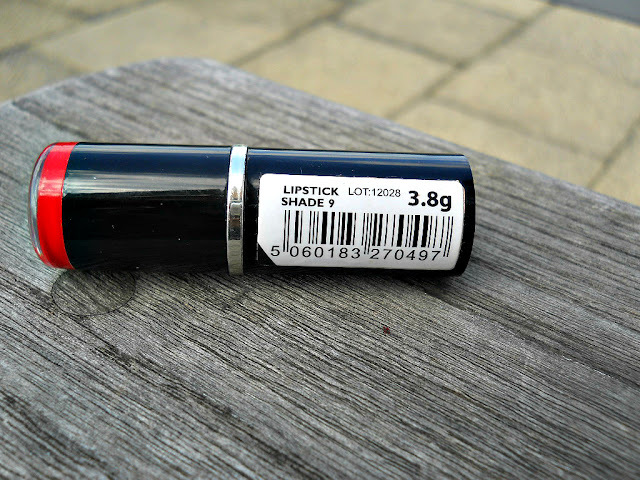 I already wrote a post on this lipstick because it was part of the products I won from a competition sponsored by L'Oreal and W Magazine in their "because you're worth it " Campaign..check out the post here. Cherry Tulle has a sheer formula which is like a cross between a lipstick and lip gloss which is why I love it. It looks quite a dark red but on application it is a light red sheer colour with a slight lustre. It's one of the lipsticks I grab and the packaging is just excellent! It reminds me of YSL lipsticks. Again, I have a post on this on my Favourite Mac Lipstick Post here. Ruby Woo is still one of the most raved red lipstick ever because it is very flattering to many skin tones including darker skin tones. Ruby Woo is a matte bright red lip stick which is also long lasting. I find it a little drying and I know. Lot of people don't use lip gloss with it but I do and it does change its appearance a bit but mehn!!! soft lips come first. This is another easy wearing red lipstick which is also very moisturising. 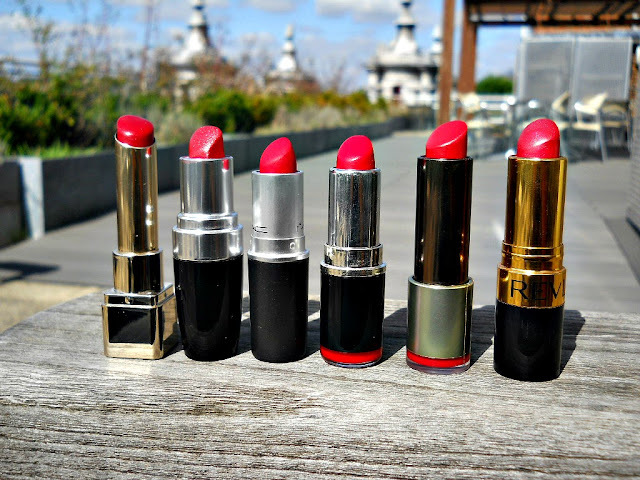 It is also a light red lipstick but it does not really last on your lips for long but you can always reapply. I love how soft and moisturised my lips feel with this lipstick and there is absolutely no need for a lip gloss unless you choose to. As the name suggests, this is not really a proper red lipstick but I think it is a close colour especially for ladies who want to make the transition to red lipstick. It was part of a set of 12 Revlon Lipsticks in a cube pack which my cousin gave me. I think she bought it on an airline on her way to SA but that's by the way. It is a rich wine lip colour with a slight dip into the pink spectrum. It has a moisturising formula with some lustre to it which means your lips are soft with the right amount of shine. 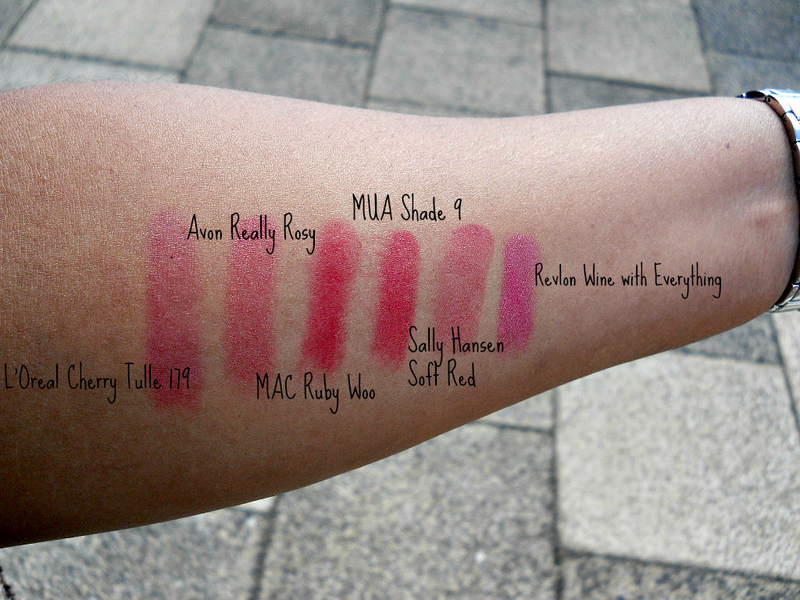 I totally love MUA lipsticks because they are well pigmented and the MUA Shade 9 is no exception to this. 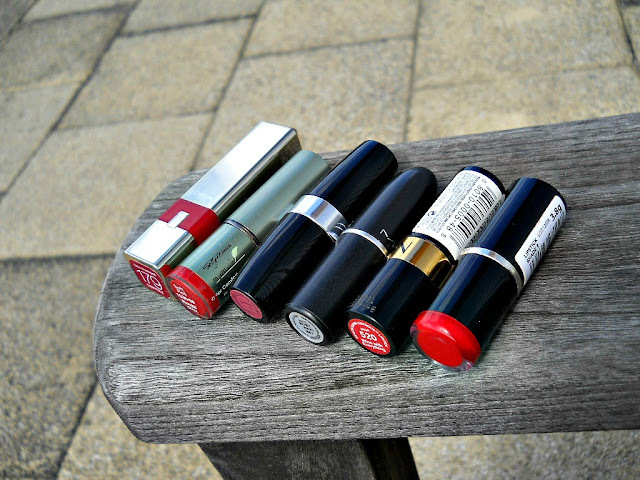 It is a bright red lip colour with a nice lustre to it and it has a creamy finish. I am quite surprised at how long this lipstick lasts on my lips because I know some MUA lipsticks require reapplication despite how pigmented they are when initially used. I really like this colour but I am not sure it is the best to start out with if you want to take the big bold step of wearing the red lip. I am not sure if this shade is also very flattering to many skin colours especially if you are quite dark skinned. Ruby Woo is my all times favourite red lipstick. I love its matte finishing, although it gets a bit chalky after a while. I love your post!!! i definately try out some in your collection.